From I-5 take Basilone Rd Exit (Exit 71) and turn east and proceed to the gate. (You will need an ID card and sticker on the windshield helps.) Proceed about 1/2 mile past commissary/BX/gas station to Beach Club Road which is the first stop light. Turn right and follow into the campground. You will need to go past about 23 sites on the left and then turn left at the stop sign and go up the hill, following the road to the office. None available in the recreation area. Cottage rates vary on size, season, and rank. $10 fee for extra tents. Group camping is $18 per person. Summer rates are charged on all holidays. Firearms must be registered within 24 hours of arrival at the Provost Marshal's office. 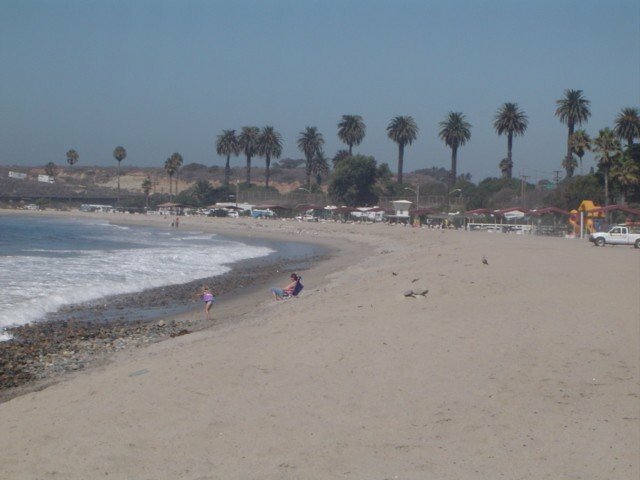 Group request reservation form for San Onofre Recreation Beach. Our site (#35) was just across the road from the surf. The views and ocean surf sounds were phenomenal. The regular entrance was closed, consequentially the entry into the park was a bit of a mess, however is was workable with our 65' motorhome and TOAD. We seen seals, dolphins and a daily groups of surfers. We very much enjoyed our stay, wish had stayed longer. There is a good bit of renovation and construction on-going while we were there, they are replacing some of the "cottages" and working on some of the beach-front sites, removing old trees, etc. The showers were a bit of a mess, (although we never use them) all-in-all the location makes up for the other short-comings. A Marine Exchange, commissary and gas station (with diesel) is a short trip to the east-side of Interstate 5. We took a day-trip to San Diego via the rail system from Oceanside, economical @ $12 regional day pass, which allowed use of virtually all the public transportation for 24 hours. We'd certainly return. 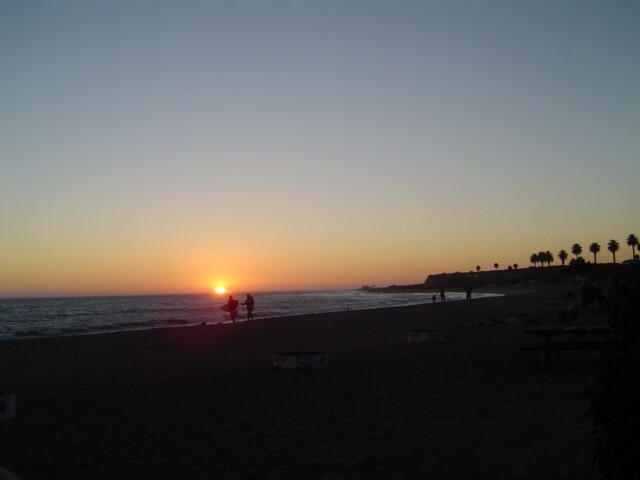 Had a wonderful time at San Onofre! The only reason I don't give them "5 stars" is the showers and bathrooms need serious help. It takes forever to get hot water to the open air showers and there was sand all over all the floors. Parking pads are nowhere near level and some of the "big rigs" had the front tires a foot off the pavement. Ya gotta love the surf pounding on the beach! 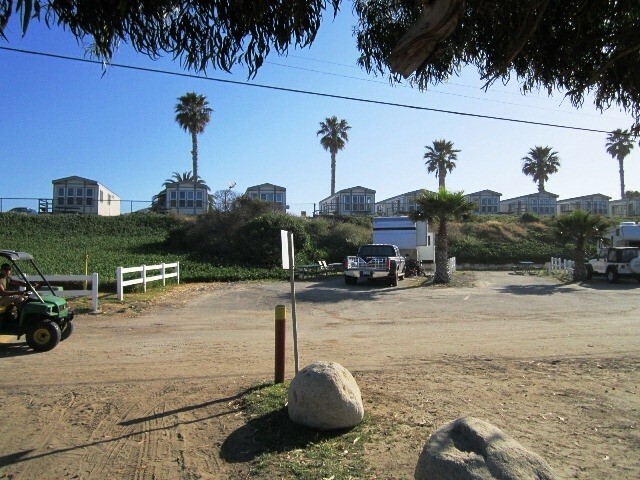 Our RV site was in Palm Tree Lane and site was extremely unlevel as were all other sites in this section. Most units were up on several blocks so if you stay there be prepared. Unfortunately I didn't have any and I think it caused a problem with my leverlers. Beach was covered with dried seaweed along with the bugs that came with it. Was disappointed with the camp. Staff was friendly and location is great but it has problems that need to be addressed. 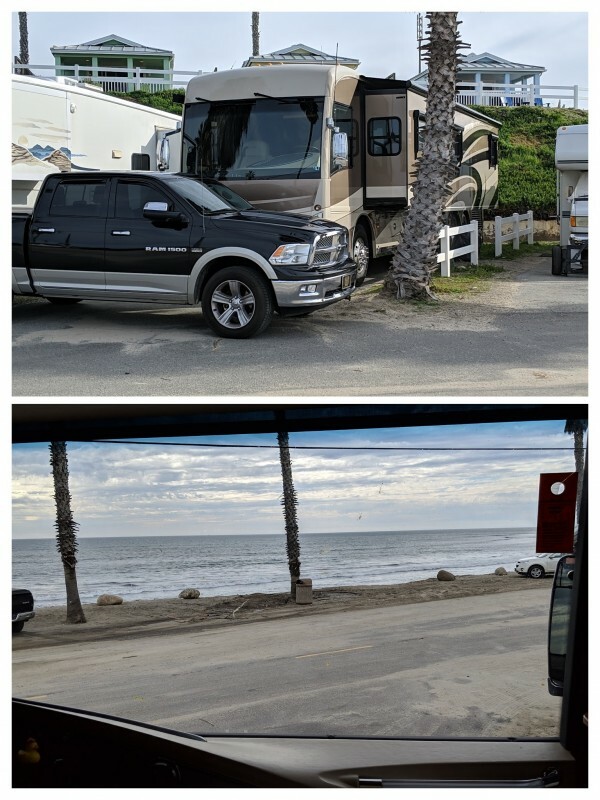 Stayed at the San Onofre RV park, Camp Pendleton, with our 5th wheel toy hauler the weekend of 23 - 25 Jun 2017. 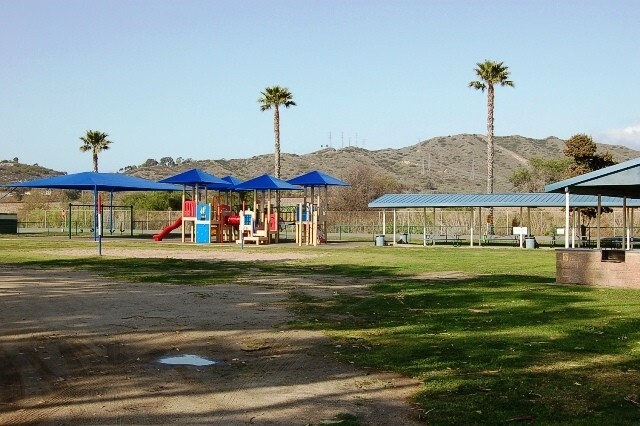 Excellent location with older facilities that are showing a bit of wear, tear, and age. Check-in personnel were helpful and polite. 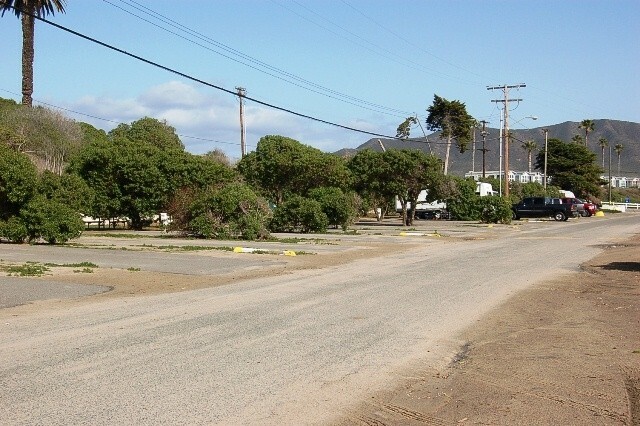 Although the park was almost at capacity, nearly all of the RV sites on the beach (45-72) were closed (temporarily??) due to excessively high tides and beach erosion. At high tide ocean water actually washed across the paved portion of the road into some of the occupied RV sites (1-24). They've dumped tons of grapefruit sized rocks on the beach to control erosion. What I've been told used to be a nice, sandy beach is now half covered in these rocks. For those that use Google Maps or Earth (in satellite mode), note sites (73-91) at the SE end of the park that are on the immediate NE edge of the long, grassy area (which runs NW to SE) are actually on a large bluff/knoll about 30-40 feet higher in elevation than the beach. If you're able to backup a toy hauler into these sites and open you're ramp door, you'll be treated to quite a view! Be prepared to inhale a bit of smoke during your stay. Most sites have large concrete fire pits which are very popular, especially during the weekend. The exchange, commissary, and gas station are only 5 minutes away. Overall it was an enjoyable stay. If you're into surfing bring your surfboard! 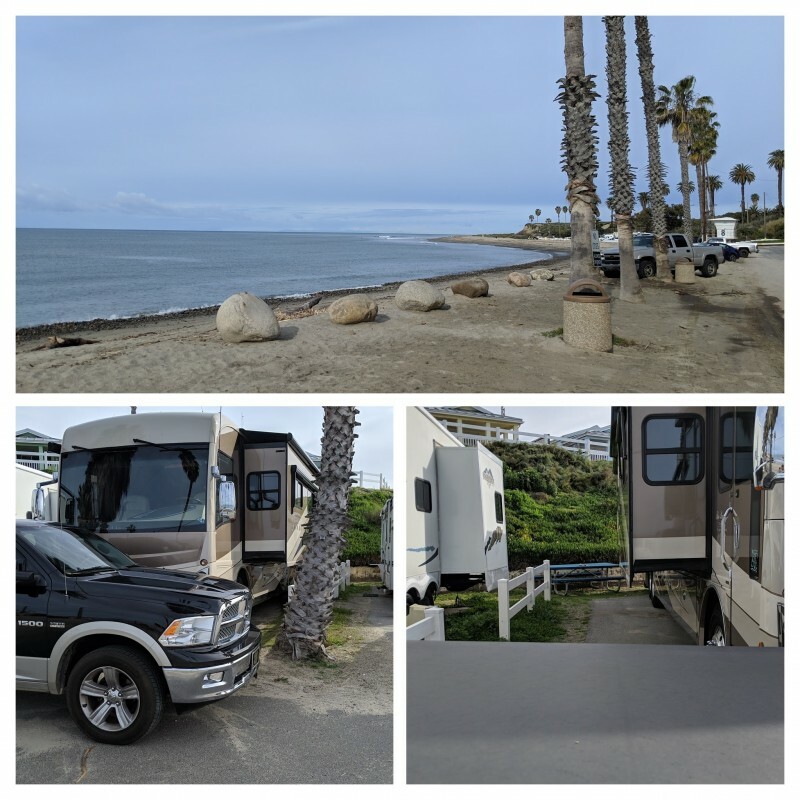 We spent 3 days on the bluff this trip (we've been going to San Onofre every year for the past 4 year). There must have been a bad storm that hit the area because San Onofre is bad shape this year. 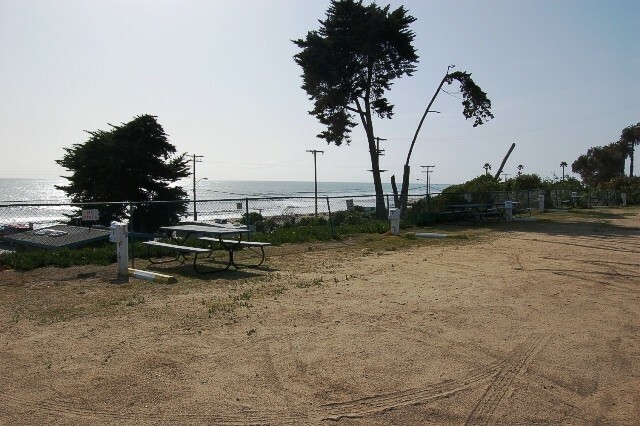 The 1st 20 sites that are opposite the beach (as you go into the camp - they have W/Elec/Sewer) are all closed down and the parking area along the beach is washed away. That only leaves a handful of sites available with all utilities. The beach has been eroded tremendously from what it has been in previous years, the life guard station used to have a buffer zone but there is washout right up to the building now. Walking the beach is a real challenge as it is filled up with rocks and only a small cleared area is available for beachgoers. It was nice up until the weekend when the place suddenly became wall to wall campers to the point of being over crowded and extremely noisy and the bathroom facilities could not handle the crowd, toilets were stopped up and it became a challenge to beat the crowd to get to a working toilet. We were surprised that no one told us of the conditions there when we reserved our site. The place has really taking a nose dive and is looking run down. Views of the coast are still great from the bluff though. The newly renovated clubhouse still was not open even though construction was completed last year. 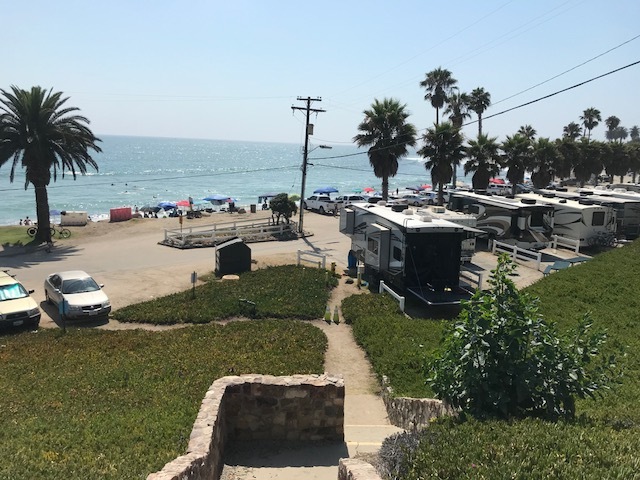 We stayed at Del Mar, just down the road about 30 miles prior to coming to San Onofre and there just isn't any comparison. Del Mar is much nicer. We should have stayed there instead of coming to San Onofre. 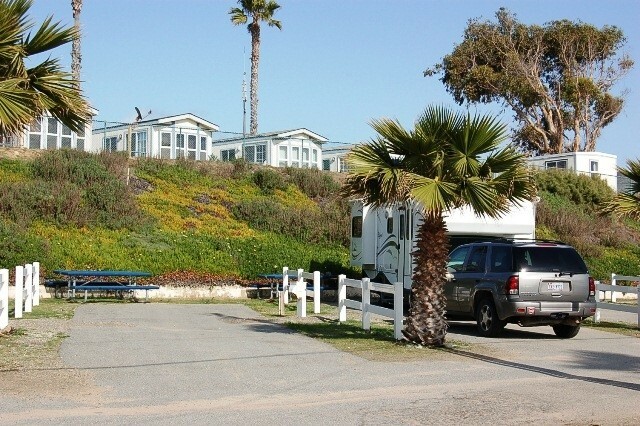 The amenities at San Onofre Beach are adequate and well placed allowing all campers to enjoy the beach setting. 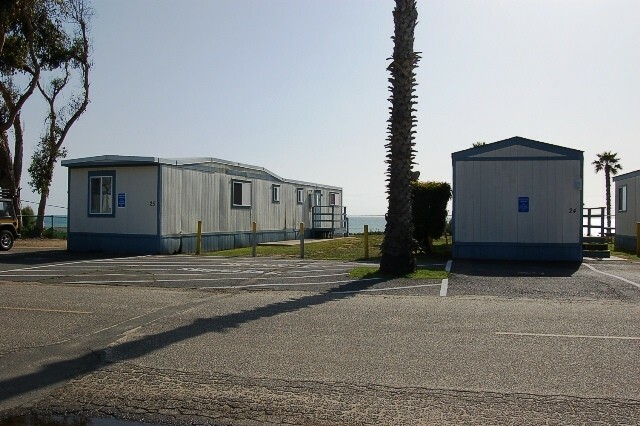 What was very disappointing is the apparent lack of efficient management, state of repair of laundry/restroom facilities, and overall cleanliness of the campground. Several times prior to arriving I called reservations asking if any full service sites had become available as my reservation was for water and electric only. I was told during all calls that no full service sites were available. 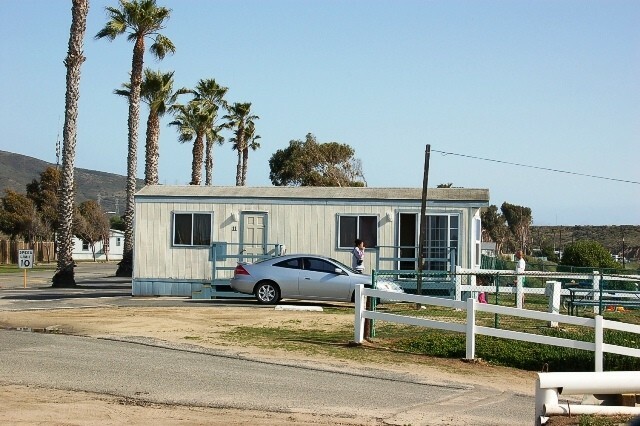 Upon arrival, the assigned site was too small for my RV and I was reassigned a full service site which I remained at throughout my planned stay. I also noted that several full service sites were always available during my stay; very puzzling. Unfortunately the entire campground is littered and unkempt with several washers/dryers and toilets out of service. 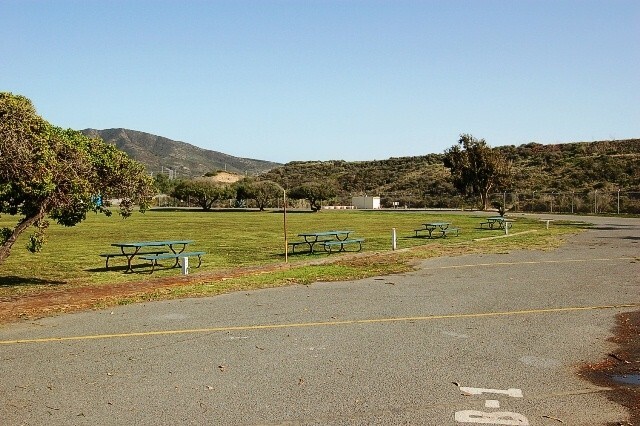 It seems that no one is caring for the amenities, landscaping, and enforcing campground rules. 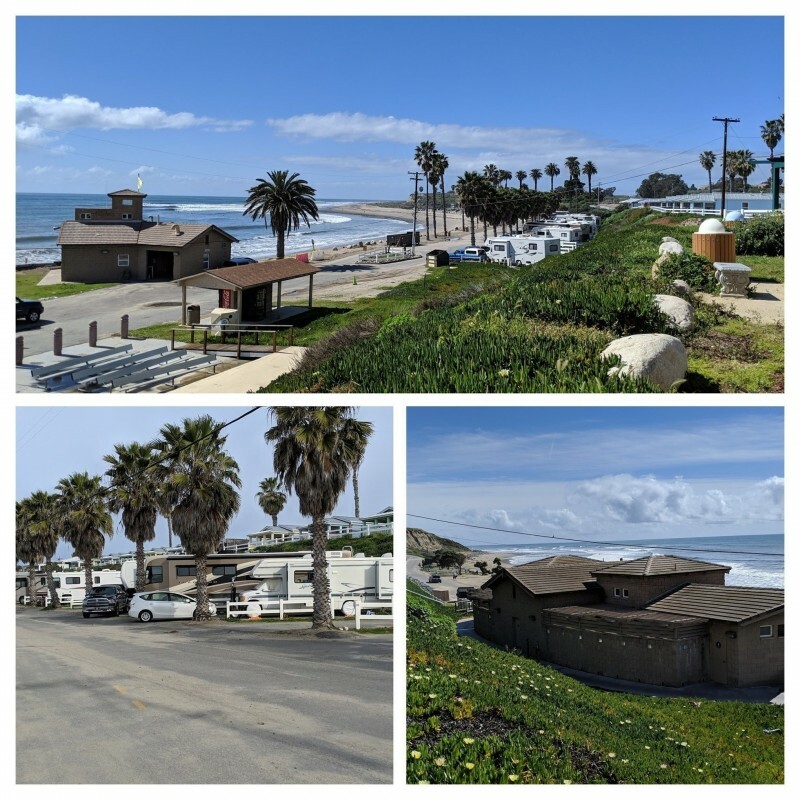 San Onofre Beach could be a real gem conveniently located to many local restaurants, activities, and beaches but considering the state of affairs and depressing condition, it rates an overall two stars at best. Somebody at MWR needs to step up and return the campground to its former condition. The men's and women's bathrooms were filthy when we checked in on Sun. 9/27. There was no toilet paper in any of the stalls, the trash was over flowing, and feces were on the floors. 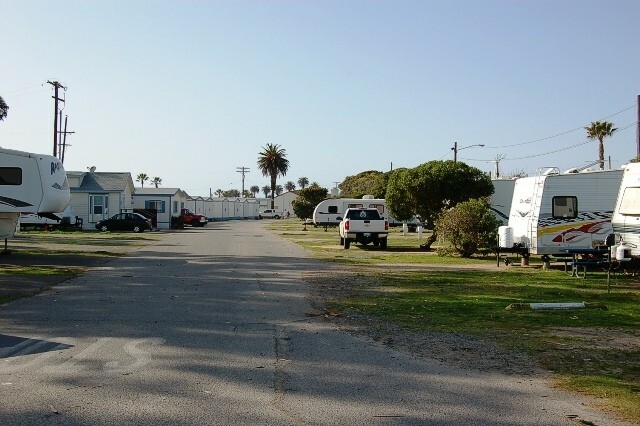 The RV sites, surrounding roads, bathrooms, and laundry facility are in serious need of repair and maintenance. Our power box was surrounded by several large holes and the front cover had been torn off of its hinges. The office staff were very pleasant and helpful and the views and location of this facility are amazing. We paid $35 per night for water and electric but no sewer hook up. This is top dollar for a military facility. 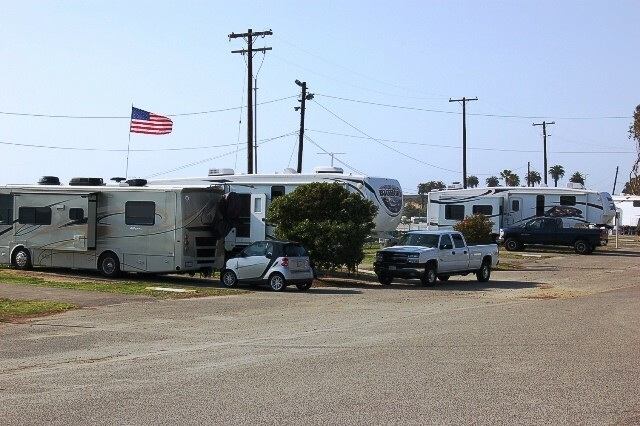 The RV park is frequently sold out on weekends creating a substantial cash flow for the MWR fund. Why isn't this money being used to maintain this crumbling facility? 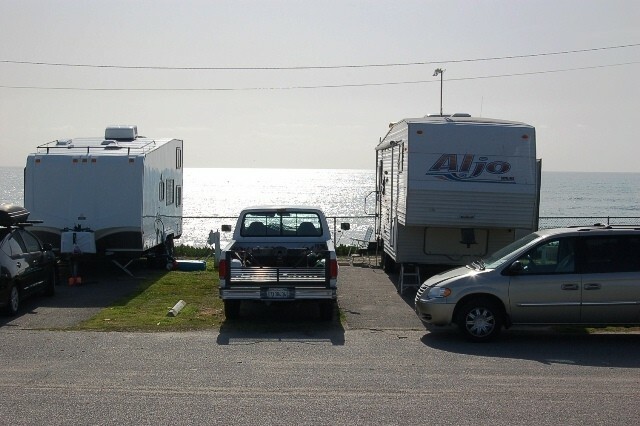 Please hire a Camp Host to help supervise the RV park and address after hours issues regarding excessive noise, loose dogs, leaking faucets, etc. This is difficult because, like all good things, my favorite place is being loved to death. The environmental degradation is obvious. The sand and beach sites are permeated with fragments of plastic fringes from toys, pieces of candy wrappers, juice pack straws. Instead of using the beach, I saw parents digging away huge chunks of the berm to make play areas. Apparently it is a trend, erosion be darned. The lack of environmental concern is concerning. We watched kids tear down the shrubbery from the adjacent state park to bring back into the base to make campfires. Management are into groups because they are profitable, and they are many. The parking and traffic resembles any popular Southern California beach on weekend evenings. On the weekends and holidays, some regular sites had 20 occupants. This, of course, has had an impact on the facilities. Nevertheless, the location is spectacular and the beach can be empty during the week. Beach sites are discounted $8/night from November through March. Hospitality shines, cleanliness is taxed by the crowds. 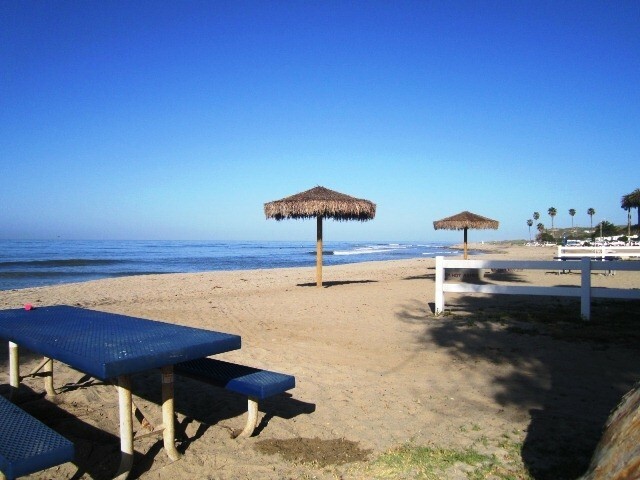 The beach sites are scheduled (once again) to be closed for renovation in January. Word is that the remaining vegetation will be taken out to squeeze in more spaces, which can't be good. The review ratings lump Cleanliness and hospitality into one category, and they aren't even similar. Cleanliness: the bathrooms are unheated, essentially open-air, and really, REALLY need some help. Just go in, do your thing, don't think about it, and get out. Hospitality: these people love living in Southern California, and it shows. I was very happy with the staff. Location: the entire coast from (Long Beach) Seal Beach to San Diego is a very enjoyable train ride (or drive) from San Clemente. 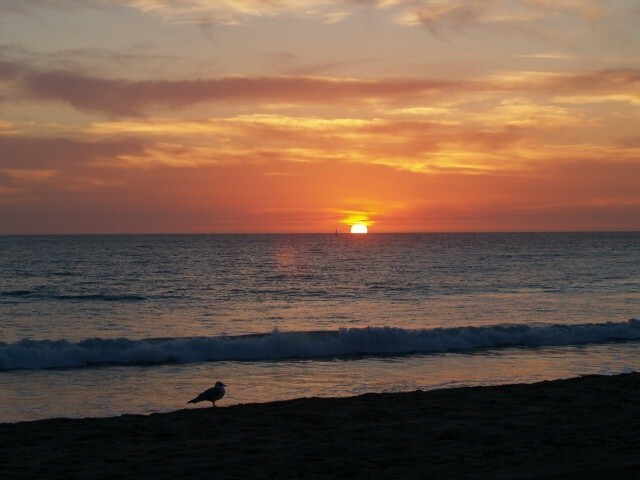 San Clemente is only about a three-mile drive. The campground would benefit from a small camp store, but the commissary and exchange and Firestone and gas are but a mile up the road. I really, REALLY would like to see MWR put out the $$ for wifi. Everyone uses wifi for everything these days and to NOT have it is ....well...stifling. The first two times we were there, a man and wife team delivered firewood (fire rings provided, every site), $20 per "unit". In June 2012, they had no supplier, and deliveries were not available. The train goes by at the east side of the campground about 2,000 times per day, but you rarely hear it. Bottom line: we go back every chance we get, to escape the heat of Palm Springs. 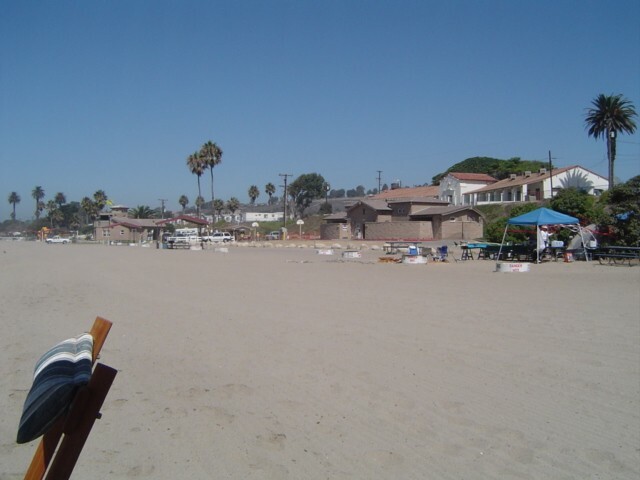 We stay right on the beach (or we won't go); there is NO sewer hook-up on the beach-front sites. Not a problem; they come by on Thursdays and pump you out, and you don't even have to be there - $10.00. We really like this place! Just left there a few days ago. The previous reviewer is absolutely correct about all their comments. We were there for 2 weeks & were lucky enough not to have to move, but several of our neighbors did. The couple next door had to move 3 spots over, but no one ever occupied the spot they moved from while they were there. The views are beautiful, but the beach itself is nothing to brag about. There are tons of rocks- if you want to go in the water bring some kind of shoes that can get wet. The road from the base is closed & you have to go thru the State Park entrance, It only takes about 10 minutes to get to the Basilone Rd gate at the base. There is a small commissary & exchange there. The main gate is about half an hour from there & it has a huge commissary & new exchange. Take the freeway. The roads on the campground are a disgrace. There are so many potholes & if it rains or there is a really bad tide, they stayed filled with water for a week. 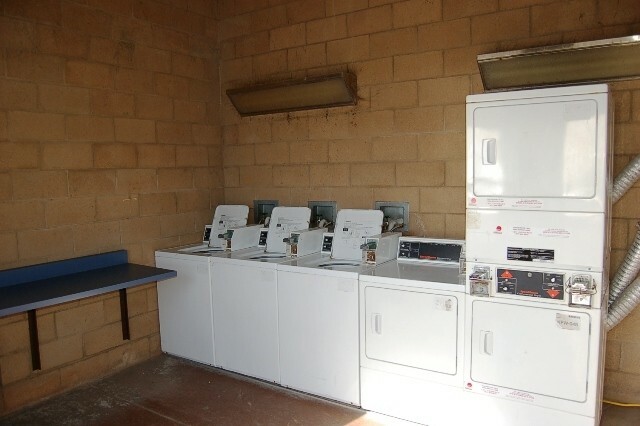 We didn't use the restrooms, but did use the laundry. It's $1 for a wash or dry. It was clean & there are 3 of each. The people in the office were very nice every time I stopped in there. 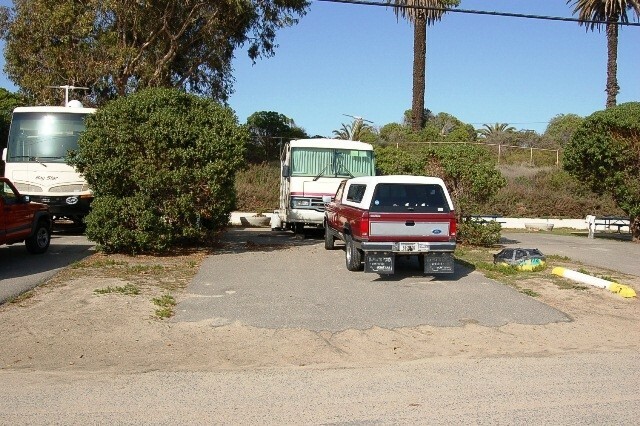 The sites with the palm trees are definitely not level, most people had the front of their RVs on blocks. They are also quite narrow, so if you have a big rig with slides, you'll have to put the picnic table at the back of the site. I'm not sure about the ones at the north end, didn't really look at the leveling. They were also narrow tho. The previous reviewer was right, the grounds definitely need some attention. We were on the East Coast last year, stayed at plenty of military beach locations & this is by far the most expensive military site we have stayed on. Yes this has a nice view, but so did they & I really can't see any reason why this would be so much. Being right on the beach is a huge plus. The employees are friendly but the reservation system and policies are ridiculous. I can guarantee that ANYTIME you call for reservations, you will be on hold for 10 to 45 minutes & don't try to reserve a site even 1 day before your alloted lead time. Check in is at 1 pm for camping, 3 pm for the "cottages". DO NOT try to check in even 5 minutes early even if your site is empty. Of course, you won't know if it is empty as they'll not tell you what site you are in until you check in. 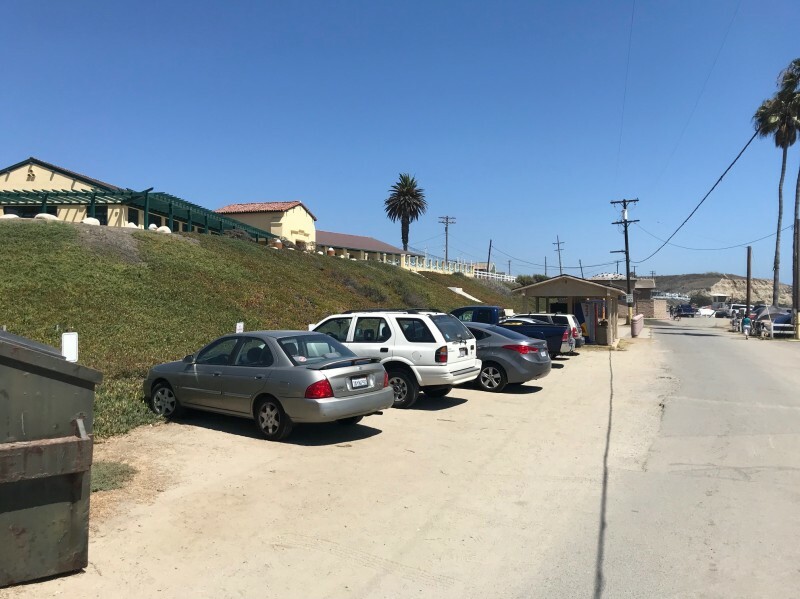 If you have to move from one site to another during your stay, you may not be able to find out where you will be moving & have to check out at noon but not be able to move into the next site- even if empty- til 1. This has happened to us numerous times. Once we moved 1 whole space & that space had been empty the entire time we were there so we could have been in that one to begin with & not had to move. We have been coming here for 6 years, & my parents came her over 30 years ago. There has been very little maintenance or updating in the last 30 years. In the last 6 years, they have put a nice childs' play area on the beach and on one the bluff. They have not done any road repair & the roads are in horrendous shape. The blacktop sites are very old, unlevel, have large holes & cracks. There used to be gravel between the hardtop sites, now there is mostly weeds. It is obvious that they have not done any weed abatement or cutting this year. The weeds are full of foxtails which is not good for the dogs. There is no grassy area for dogs or kids & dogs aren't allowed on the beach. There is a large dirt/weed field that is called a ballfield. Dogs are not allowed on the field but on summer weekends, it is filled with tents. We've never seen anyone actually play ball on it. Note that they say they have 23 camper/tent spaces & some overflow. What is not mentioned is that they have a couple group camping areas plus the ball field which are often rented to non military groups and add at least 100 additional tents on busy weekends. A couple years ago there were some extremely high tides & much of the beach was washed out at the north end of the campground. 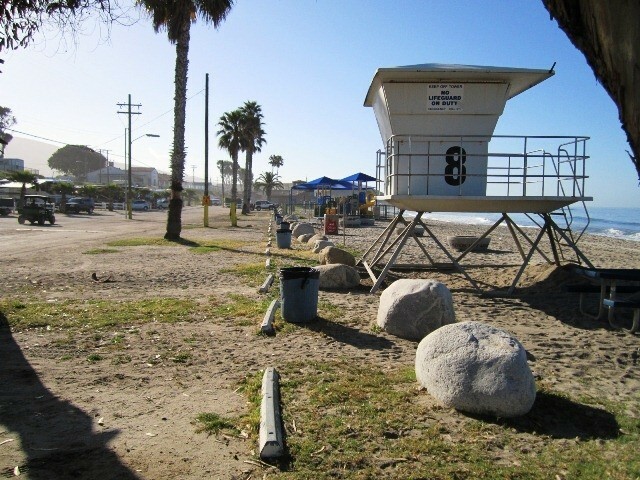 The large shade covers on the beach were all removed & have not been replaced. The main road was washed out at that time & has been closed off & on since (it's closed now) so there is no direct access to the base. Of course, the rates continue to increase with no improvement in the facilities. 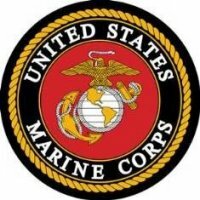 With the exception of the beach location, this place is an embarrassment to the Marine Corps. 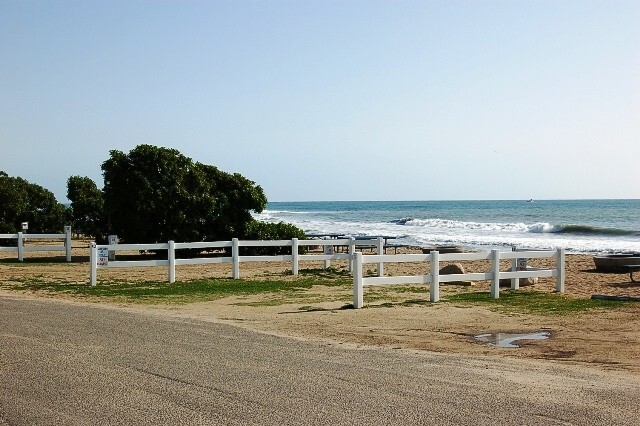 THE ROAD IS FIXED AND YOU NO LONGER HAVE TO ENTER THROUGH THE SAN ONOFRE STATE PARK ENTRANCE!! California beach camping doesn't get any better than this if you like the beach at your doorstep. It's hard for me and my family to go any place else because it just doesn't compare. If you want a beach front site where you're literally on the beach or if you would rather be back off the beach a little, you have the choice (beach sites go fast). The bluff sites on top have spectacular views of the ocean as well. For as crowded as the facility gets because of its popularity, it's clean. I would rather tell everyone this is a horrible place to camp so it wouldn't be so hard to get in but I just can't. For peak times, you really do have to be right on it if you want a spot. It fills up fast in the summer and on holiday weekends. It's close to EVERYTHING if you want to make a day trip someplace in So. Cal. Commissary is right up the street and so is the exchange and the gas station. It's also close to freeway entrance to the 5 freeway. This is seriously the best military camping spot around if you love the beach. My only complaint is this- The reservation policy is ridiculous at times and very hard to get if you don't call the day you're allowed according to your military status. I hate that you're allowed to sponsor up to 3 spots. I feel this allows too many non-military folks to utilize the park which leaves no space available for the people it was designed for - MILITARY PERSONNEL AND THEIR FAMILIES. I would say 75% of the people in the park camping are not military and are there as a guest. 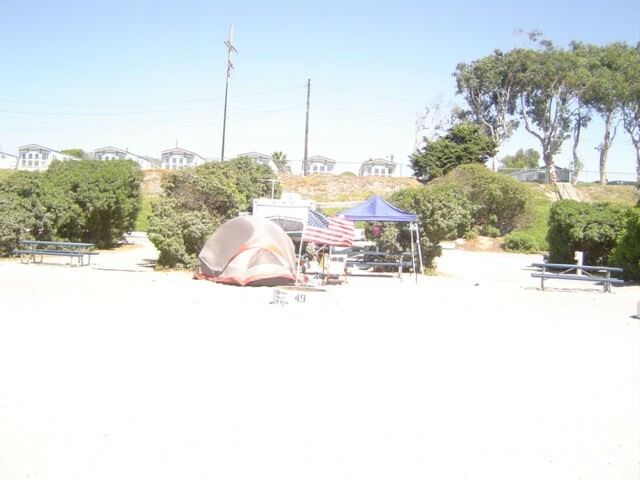 So 2 out of 3 campsites are non military guest most of the time. I am guilty of using the sites for friends as well because you become everyone's best friend once they know you have access to such a great place to camp but we are always on site with them. I don't think they police this policy to make sure the host is actually there with the guest they check in. I would definitely support a change if they did decide to change this policy and allow 1 guest versus 2 like most other military camping facilities still do. This would free up the spots and make the awful task of getting a spot here a little easier. Also, a word to the folks who camp in tents and for those who throw up extra tents on their sites along with your RV. There is a 10 dollar per night fee for each additional tent. I think that is high. So if you have 5 tents on your site, the first one is the main tent and the other 4 you have to pay 10 bucks each for. That's an additional 40 buck per night for your site!!! Most people are not aware of that especially if you have all tents on your site. So, there you have it. I still love this place and go back every chance I get. Love it. Great location, great beach. 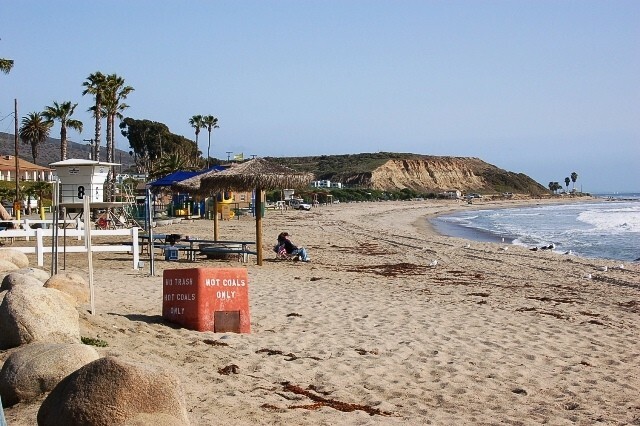 The reservation policy for Camp Pendleton beaches is ridiculous. Other than that, staying here is better than staying at Del Mar.